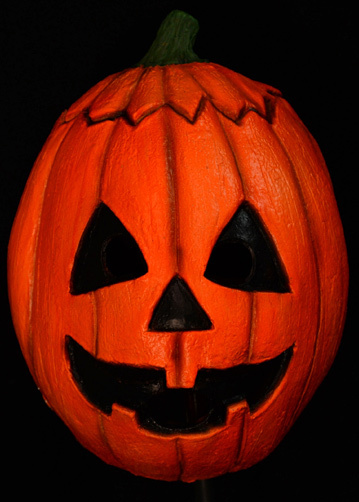 This mask is an identical replica of the mask created by Conal Cochran to kill innocent children on Halloween night. In the only movie from the Halloween series to not feature Michael Myers, the Silver Shamrock mask company created masks that would melt the heads of children on Halloween night when they watched the company's special commercial. 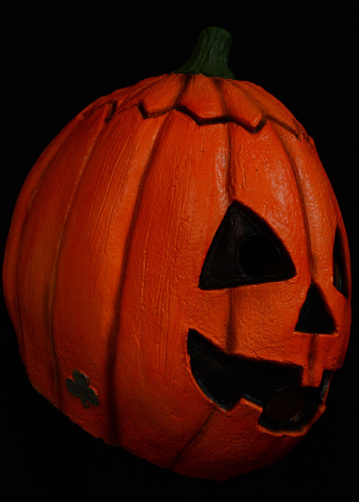 The unforgettable countdown song that Silver Shamrock aired leading up to Halloween is sung to the tune of London bridge is falling down... "eight more days to Halloween, Halloween, Halloween... eight more days to Halloween, Silver Shamrock!" 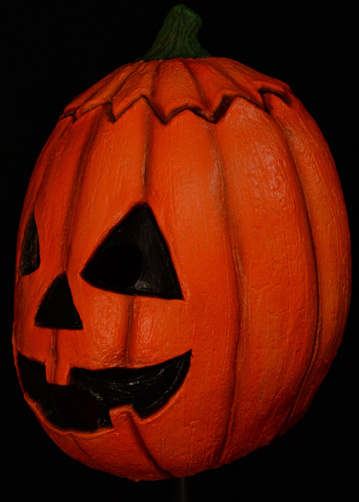 Halloween III: Pumpkin mask was sculpted by Justin Mabry, and was based on numerous screen shots to make it the most screen accurate mask ever released. Fantastic, colorful, quality product. It's a bit difficult to get on and off, but maybe I just have a big head. You could always cut a small slit in the back to make it work better. The shipping was very fast and the transaction was smooth overall.